GamesCom 2014 is just a few hours away and PlayStation fans are pretty excited about the things that Sony is going to showcase/announce at the event. We have already heard from numerous insider sources that Sony's GamesCom 2014 line-up is much better than E3 2014, as it not only features some major announcements but also PlayStation Vita is a big focus. In this feature article, we decided to predict what secret/mind blowing unannounced stuff does Sony have in store for PlayStation fans at GamesCom 2014. So far, three teaser trailers for PlayStation GamesCom have been released and all of them point towards re-reveal of Until Dawn but for PlayStation 4. The third teaser was more specific about the platform as it carried a tag line "Horror Reinvented on PS4". Until Dawn was announced way back at GamesCom 2012, it was originally scheduled to launch on PlayStation 3, but recently Sony renewed the trademark application for the game with PS4 as the platform and this game was also listed on official GamesCom 2014 website under PS4 category. So lock this one, Until Dawn will also be the first title to showcase the true capability of PS4's Project Morpheus. Both studios skipped E3 2014, and so the chances of them making an appearance at GamesCom 2014 are very high. It is rumoured that Guerrilla Games are working on a open world action RPG. With Killzone: Shadow Fall, Guerrilla Games has shown us what they are truly capable of on PlayStation 4, so expect to see some gorgeous next-gen graphics/visuals with this new IP of theirs. Coming to Media Molecule, their new PlayStation 4 project is still a secret. Recently, the studio posted a teaser of their PS4 project on YouTube showcasing a Trippy Sequence of Colourful Nonsense, if you missed it, watch it HERE. The details in the teaser confirms that something quirky and creative is coming to PlayStation 4 from Media Molecule. Mark this one in RED because From Software's upcoming PlayStation 4 exclusive is going to be the standout title of GamesCom 2014. Sony has already confirmed that Bloodborne will be available in playable form at PlayStation Booth, and for fans who won't be able to attend the event, an impressive looking gameplay footage is already planned. I know this is too early to expect a gameplay footage of Uncharted 4: A Thief's End but an in-game "Work-In-Progress" screenshot or new teaser trailer is expected from Naughty Dog as a surprise entry. There is also a chance of Uncharted Remaster Collection being announced for PlayStation 4, both Sony and Naughty Dog agrees that it will be a good way of introducing new players (who migrated from Xbox/Nintendo to PlayStation family) to Uncharted series and are looking forward to playing Uncharted 4: A Thief's End. Grand Theft Auto V was announced for PlayStation 4, Xbox One and PC at Sony's PlayStation E3 2014 press conference. The first teaser trailer featuring all in-game footage captured directly from PlayStation 4 was showcased. There was a massive improvement in terms of graphics/visuals, Los Santos City was showcased in never seen before avatar, full of life, cars, NPCs and much more. 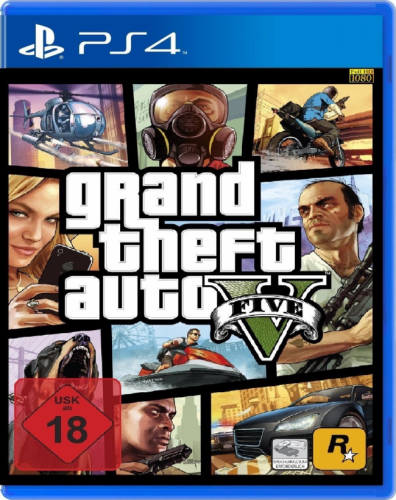 Rockstar Games' love for GamesCom event is know to each and everyone of us, and so we expect them to showcase another trailer of GTA V running on PlayStation 4, along with an announcement of the exact release date. 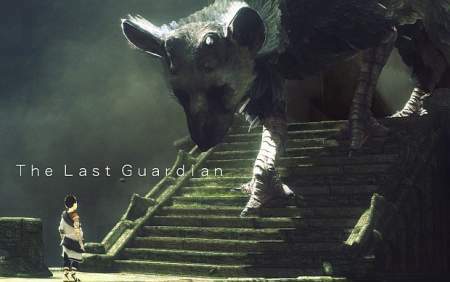 Just before E3 2014, Sony had confirmed that The Last Guardian is still in development, however nothing was showcased at the event. The game is unlikely to debut at GamesCom 2014, and Sony will be waiting until Tokyo Game Show to unleash it. But, die-hard PlayStation fans who waited for this long to hear/see an official update on The Last Guardian, deserves atleast 10 secs or so of the teaser trailer with a message like "Guardian Is Coming". These are my choices, tell us in the comment section below what are you guys expecting to see at Sony PlayStation GamesCom 2014 conference?